3School of Physics and Astronomy, University of Leeds, Leeds, LS2 9JT, UK. Citation: Quantum 3, 119 (2019). Recently a complete set of entropic conditions has been derived for the interconversion structure of states under quantum operations that respect a specified symmetry action, however the core structure of these conditions is still only partially understood. Here we develop a coarse-grained description with the aim of shedding light on both the structure and the complexity of this general problem. Specifically, we consider the degree to which one can associate a basic `shape' property to a quantum state or channel that captures coarse-grained data either for state interconversion or for the use of a state within a simulation protocol. We provide a complete solution for the two-qubit case under the rotation group, give analysis for the more general case and discuss possible extensions of the approach. M. Tinkham. Group theory and quantum mechanics. International series in pure and applied physics. McGraw-Hill, 1964. Carlton M. Caves, Christopher A. Fuchs, and Rüdiger Schack. Unknown quantum states: The quantum de finetti representation. Journal of Mathematical Physics, 43 (9): 4537-4559, 2002. 10.1063/​1.1494475. R. Jozsa. Quantum factoring, discrete logarithms, and the hidden subgroup problem. Computing in Science Engineering, 3 (2): 34-43, Mar 2001. ISSN 1521-9615. 10.1109/​5992.909000. Ryszard Horodecki, Pawel Horodecki, Michal Horodecki, and Karol Horodecki. Quantum entanglement. Rev. Mod. Phys., 81: 865-942, Jun 2009. 10.1103/​RevModPhys.81.865. I. Marvian and R. W. Spekkens. Extending Noether's theorem by quantifying the asymmetry of quantum states. Nature Communications, 5: 3821, May 2014. 10.1038/​ncomms4821. Matteo Lostaglio, Kamil Korzekwa, David Jennings, and Terry Rudolph. Quantum coherence, time-translation symmetry, and thermodynamics. Phys. Rev. X, 5: 021001, Apr 2015. 10.1103/​PhysRevX.5.021001. Gilad Gour, David Jennings, Francesco Buscemi, Runyao Duan, and Iman Marvian. Quantum majorization and a complete set of entropic conditions for quantum thermodynamics. Nature Communications, 9 (1): 5352, 2018. ISSN 2041-1723. 10.1038/​s41467-018-06261-7. M. Lostaglio, D. Jennings, and T. Rudolph. Description of quantum coherence in thermodynamic processes requires constraints beyond free energy. Nature Communications, 6: 6383, March 2015. 10.1038/​ncomms7383. E. P. Wigner. Die messung quantenmechanischer operatoren. Zeitschrift für Physik A Hadrons and nuclei, 133 (1): 101-108, Sep 1952. ISSN 0939-7922. 10.1007/​BF01948686. Huzihiro Araki and Mutsuo M. Yanase. Measurement of quantum mechanical operators. Phys. Rev., 120: 622-626, Oct 1960. 10.1103/​PhysRev.120.622. L. Loveridge and P. Busch. `measurement of quantum mechanical operators' revisited. The European Physical Journal D, 62 (2): 297-307, Apr 2011. ISSN 1434-6079. 10.1140/​epjd/​e2011-10714-3. Mehdi Ahmadi, David Jennings, and Terry Rudolph. The wigner–araki–yanase theorem and the quantum resource theory of asymmetry. New Journal of Physics, 15 (1): 013057, 2013. 10.1088/​1367-2630/​15/​1/​013057. I. Marvian and R. W. Spekkens. An information-theoretic account of the Wigner-Araki-Yanase theorem. ArXiv e-prints, December 2012. URL https:/​/​arxiv.org/​abs/​1212.3378. Miguel Navascués and Sandu Popescu. How energy conservation limits our measurements. Phys. Rev. Lett., 112: 140502, Apr 2014. 10.1103/​PhysRevLett.112.140502. Dominik Šafránek, Mehdi Ahmadi, and Ivette Fuentes. Quantum parameter estimation with imperfect reference frames. New Journal of Physics, 17 (3): 033012, 2015. 10.1088/​1367-2630/​17/​3/​033012. Iman Marvian, Robert W. Spekkens, and Paolo Zanardi. Quantum speed limits, coherence, and asymmetry. Phys. Rev. A, 93: 052331, May 2016. 10.1103/​PhysRevA.93.052331. D. Grier and L. Schaeffer. The Classification of Stabilizer Operations over Qubits. ArXiv e-prints, March 2016. URL https:/​/​arxiv.org/​abs/​1603.03999. D. Gottesman. Stabilizer codes and quantum error correction. PhD thesis, California Institute of Technology, 1997. URL https:/​/​arxiv.org/​abs/​quant-ph/​9705052. D S França and A K Hashagen. Approximate randomized benchmarking for finite groups. Journal of Physics A: Mathematical and Theoretical, 51 (39): 395302, aug 2018. 10.1088/​1751-8121/​aad6fa. M.A. Nielsen and I.L. Chuang. Quantum Computation and Quantum Information: 10th Anniversary Edition. Cambridge University Press, 2010. ISBN 9781139495486. 10.1017/​CBO9780511976667. J. A. Vaccaro, F. Anselmi, H. M. Wiseman, and K. Jacobs. Tradeoff between extractable mechanical work, accessible entanglement, and ability to act as a reference system, under arbitrary superselection rules. Phys. Rev. A, 77: 032114, Mar 2008. 10.1103/​PhysRevA.77.032114. Gilad Gour, Iman Marvian, and Robert W. Spekkens. Measuring the quality of a quantum reference frame: The relative entropy of frameness. Phys. Rev. A, 80: 012307, Jul 2009. 10.1103/​PhysRevA.80.012307. Gilad Gour and Robert W Spekkens. The resource theory of quantum reference frames: manipulations and monotones. New Journal of Physics, 10 (3): 033023, 2008. 10.1088/​1367-2630/​10/​3/​033023. Iman Marvian and Robert W Spekkens. The theory of manipulations of pure state asymmetry: I. basic tools, equivalence classes and single copy transformations. New Journal of Physics, 15 (3): 033001, 2013. 10.1088/​1367-2630/​15/​3/​033001. C. Cirstoiu and D. Jennings. Irreversibility and quantum information flow under global and local gauge symmetries. ArXiv e-prints, Dec 2017. URL https:/​/​arxiv.org/​abs/​1707.09826. Johan Åberg. Catalytic coherence. Phys. Rev. Lett., 113: 150402, Oct 2014. 10.1103/​PhysRevLett.113.150402. J. Madore. An Introduction to Noncommutative Differential Geometry and its Physical Applications. London Mathematical Society Lecture Note Series. Cambridge University Press, 1995. ISBN 9780521467919. 10.1017/​CBO9780511569357. Michael Kech, Peter Vrana, and Michael M Wolf. The role of topology in quantum tomography. Journal of Physics A: Mathematical and Theoretical, 48 (26): 265303, 2015. 10.1088/​1751-8113/​48/​26/​265303. Victor Veitch, S A Hamed Mousavian, Daniel Gottesman, and Joseph Emerson. 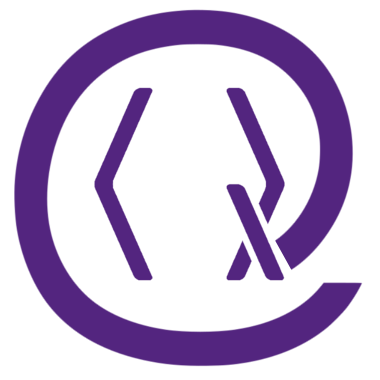 The resource theory of stabilizer quantum computation. New Journal of Physics, 16 (1): 013009, 2014. 10.1088/​1367-2630/​16/​1/​013009. R. Schmidt. Subgroup Lattices of Groups. De Gruyter Expositions in Mathematics. De Gruyter, 1994. ISBN 9783110868647. URL https:/​/​www.degruyter.com/​view/​product/​172483. S. Burris and H.P. Sankappanavar. A course in universal algebra. Graduate texts in mathematics. Springer-Verlag, 1981. ISBN 9780387905785. URL http:/​/​www.math.uwaterloo.ca/​ snburris/​htdocs/​ualg.html. Bob Coecke, Tobias Fritz, and Robert W. Spekkens. A mathematical theory of resources. Information and Computation, 250 (Supplement C): 59 - 86, 2016. ISSN 0890-5401. 10.1016/​j.ic.2016.02.008. Alexander Streltsov, Gerardo Adesso, and Martin B. Plenio. Colloquium: Quantum coherence as a resource. Rev. Mod. Phys., 89: 041003, Oct 2017. 10.1103/​RevModPhys.89.041003. John Goold, Marcus Huber, Arnau Riera, Lídia del Rio, and Paul Skrzypczyk. The role of quantum information in thermodynamics—a topical review. Journal of Physics A: Mathematical and Theoretical, 49 (14): 143001, 2016. 10.1088/​1751-8113/​49/​14/​143001. I. Bengtsson and K. Życzkowski. 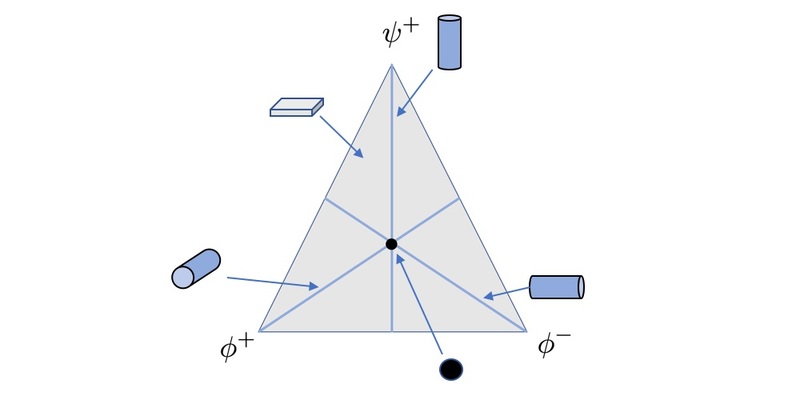 Geometry of Quantum States: An Introduction to Quantum Entanglement. Cambridge University Press, 2017. ISBN 9781107026254. 10.1017/​CBO9780511535048. A. Arvanitogeōrgos. An Introduction to Lie Groups and the Geometry of Homogeneous Spaces. Student mathematical library. American Mathematical Society, 2003. ISBN 9780821827789. 10.1090/​stml/​022. G.E. Bredon. Introduction to Compact Transformation Groups. Pure and Applied Mathematics. Elsevier Science, 1972. ISBN 9780080873596. Dennis Kretschmann, Dirk Schlingemann, and Reinhard F. Werner. A continuity theorem for stinespring's dilation. Journal of Functional Analysis, 255 (8): 1889 - 1904, 2008. ISSN 0022-1236. 10.1016/​j.jfa.2008.07.023. I.M. Isaacs. Algebra: A Graduate Course. Graduate studies in mathematics. American Mathematical Society, 1994. ISBN 9780821847992. Sania Jevtic, David Jennings, and Terry Rudolph. Quantum mutual information along unitary orbits. Physical Review A, 85 (5): 052121, 2012a. 10.1103/​PhysRevA.85.052121. Sania Jevtic, David Jennings, and Terry Rudolph. Maximally and minimally correlated states attainable within a closed evolving system. Physical review letters, 108 (11): 110403, 2012b. 10.1103/​PhysRevLett.108.110403. Ryszard Horodecki and Michal Horodecki. Information-theoretic aspects of inseparability of mixed states. Phys. Rev. A, 54: 1838-1843, Sep 1996. 10.1103/​PhysRevA.54.1838. S. Amari and H. Nagaoka. Methods of Information Geometry. Translations of mathematical monographs. American Mathematical Society, 2007. ISBN 9780821843024. Oleg Kabernik. Quantum coarse graining, symmetries, and reducibility of dynamics. Phys. Rev. A, 97: 052130, May 2018. 10.1103/​PhysRevA.97.052130. M. Keyl and R. F. Werner. Optimal cloning of pure states, testing single clones. Journal of Mathematical Physics, 40 (7): 3283-3299, 1999. 10.1063/​1.532887. Marvian Mashhad, Iman. Symmetry, Asymmetry and Quantum Information. PhD thesis, 2012. URL http:/​/​hdl.handle.net/​10012/​7088. A. Gilchrist, D. R. Terno, and C. J. Wood. Vectorization of quantum operations and its use. ArXiv e-prints, November 2009. URL https:/​/​arxiv.org/​abs/​0911.2539. Cristina Cirstoiu and David Jennings, "Global and local gauge symmetries beyond Lagrangian formulations", arXiv:1707.09826 (2017). The above citations are from SAO/NASA ADS (last updated 2019-04-25 11:24:45). The list may be incomplete as not all publishers provide suitable and complete citation data. On Crossref's cited-by service no data on citing works was found (last attempt 2019-04-25 11:14:15).